NOTE LOCATION CHANGE THIS MONTH: Everett United Church of Christ. Going local is a powerful strategy to repair our fractured world – our ecosystems, our societies and our selves. Economic globalization has led to a massive expansion in the scale and power of big business and banking. It has also worsened nearly every problem we face: fundamentalism and ethnic conflict; climate chaos and species extinction; financial instability and unemployment. There are personal costs, too. For the majority of people on the planet, life is becoming increasingly stressful. We have less time for friends and family and we face mounting pressures at work. 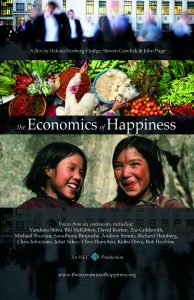 “The Economics of Happiness” describes a world moving simultaneously in two opposing directions. On the one hand, government and big business continue to promote globalization and the consolidation of corporate power. At the same time, all around the world people are resisting those policies, demanding a re‐regulation of trade and finance – and, far from the old institutions of power, they’re starting to forge a very different future. Communities are coming together to rebuild more human scale, ecological economies based on a new paradigm – an economics of localization. In the film, we hear from a chorus of voices from six continents including Vandana Shiva, Bill McKibben, David Korten, Michael Shuman, Juliet Schor, Zac Goldsmith and Samdhong Rinpoche ‐ the Prime Minister of Tibetʹs government in exile. They tell us that climate change and peak oil give us little choice: we need to localize, to bring the economy home. The good news is that as we move in this direction we will begin not only to heal the earth but also to restore our own sense of well‐being. ‘The Economics of Happiness’ restores our faith in humanity and challenges us to believe that it is possible to build a better world. Doors open at 6pm with refreshments and socializing. The movie starts at 6:30pm and after the movie we’ll have a community discussion. The movie is family-friendly. Free popcorn and snacks, as always! 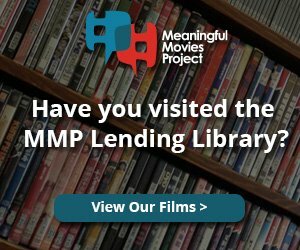 Donations to support our future films are gratefully accepted. Sponsors: A heartfelt thank you to our regular sponsors: Our Savior's Lutheran Church in Everett, Everett United Church of Christ, Evergreen Unitarian Universalist Fellowship Green Team, and KSER Community Radio. We would also like to gratefully acknowledge Petite Sweet Bakery, in Everett, for donating baked goods. And a big thank you to our hard-working volunteers that make these events possible and to the film makers who produce the films we show!